Monday = Detox Time. Well, not really. Maybe I had a little wine Friday night, but that's the extent of it. Sometimes I'm old and boring at 25. Okay, okay, a lot of times. But I've got a recipe for you if you DO need to detox. Or even if you don't because this is so super-delicious. Originally, I was going to do the 28-day whole-body detox I read about in Whole Living. I still think it's a good idea and would like to try it sometime, but I didn't even make it 24 hours because I didn't really try. But I did take some of the ideas to heart and tried some recipes. In the first six weeks of 2011, I've made this smoothie almost a dozen times. Oh. Em. Gee. I do love Naked juice but it's expensive. And even when I have it, sometimes I want one of these for dessert. It's almost as good as ice cream and something like 120 calories. 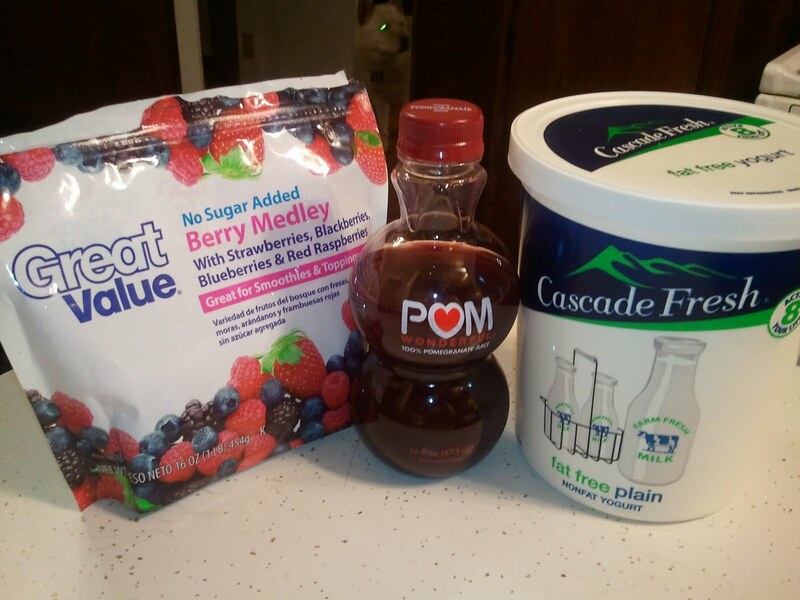 Because it's a wee bit pricey, I only buy Pom juice on sale. 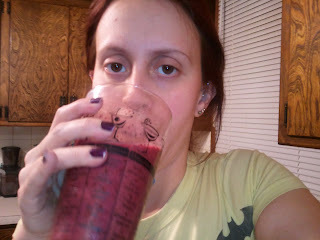 Then I make three smoothies in a week and I'm out of pomegranate juice again. Maybe that's why I failed at doing the detox thing. Moderation doesn't suit me well. Mix all ingredients in a blender or food processor. 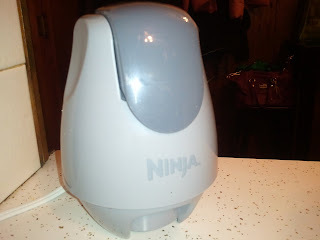 I use my Ninja, which was a Christmas gift from my sister-in-law. I'm certain she gave it to us because it's called "Ninja," but it turns out this thing ROCKS. 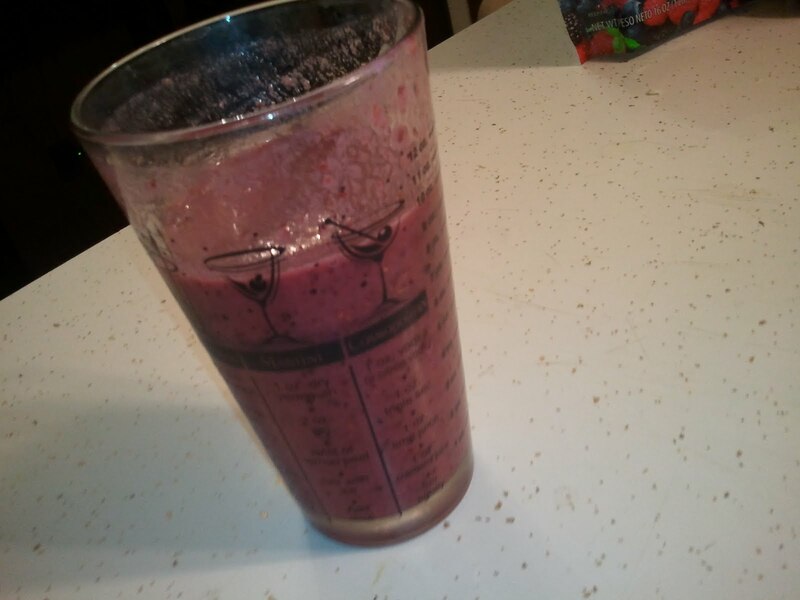 It's my super-duper-smoothie-machine now. This would make a great breakfast, but you'd have to drink it at home and brush your teeth afterwards. Otherwise you'll have little black seeds in your teeth at work and be very embarrassed. So I stick to morning lattes instead. Mark and I make these all the time! But we do use Naked juice, or whatever we have on hand. These are our 'healthy' dessert or our after-workout snack.